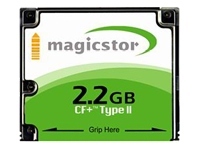 GS Magicstor is a young, energetic and fast growing company. GS Magicstor's goal is to provide people with the means of enjoying the new and exciting mobile digital age. Ultra compact and light-weight, weighing only 16 grams.